If you’re considering an upgrade to your current water heater, now is the perfect time to look into tankless water heaters. These devices provide you with a number of benefits over a more traditional heater. While the up front price does generally cost more than a tank water heater, you’ll quickly discover why so many homeowners are making the switch. In fact, here are seven benefits of converting to a tankless water heater. Before we can discuss the benefits of converting to a tankless water heater, let’s talk about what it actually is! A tankless water heater is pretty much what it sounds like – a water heater with no tank. How can that possibly work? Well, instead of slowly heating water in a tank and keeping the water in the tank hot, a tankless water heater only heats water that is needed through a heat exchanger coil. The preferred type of coil is a copper heat exchanger because of their ease of fabrication and high thermal conductivity. There’s nothing worse than waking up on a cold morning and running into the shower, only to find the water hasn’t heated up yet. Sure, that sudden blast of cold water is a quick wake up call, but not the kind you likely wanted. With a tankless water heater you have hot water on demand. This way, you’ll never again need to sit around, waiting for the water to heat up as you let valuable, costly water, go down the drain. Imagine, no more scheduling out showers with your family or roommates! Even “energy efficient” tank water heaters are not all that efficient. After your water heater heats up the water, the rest of the water in the tank will sit, cooling off. The next time you want hot water you’ll need to reheat the water, which increases the cost. Additionally, if you wait for the water to heat up you’ll spend more money on the water you let run down the drain. In fact, you’ll notice a price savings of at least 10 percent annually off your old water heater. This alone will pay for the additional price of a tankless water heater. If you live in a home with multiple people you understand the importance of taking the first shower. If you don’t, you may only have hot water for a few minutes. With a tankless hot water heater you’ll never again need to worry about running out of hot water. This is because the water is heated as it passes through the heater. Whether you take a two minute shower or a 20 minute shower, you’ll always have hot water at your disposal. Homes with tankless water heaters can be more attractive to prospective buyers. That means if you are thinking about selling your home in the next couple years, going tankless could pay off when it comes to the asking price. It’s even more attractive if there is still a warranty on the unit. 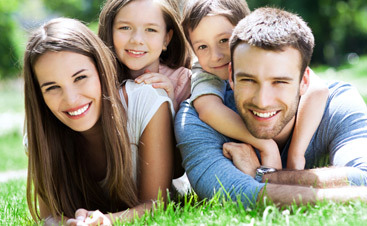 A traditional tank water heater has a runtime life of around 10 to 15 years. Even if it seems to function correctly you’re likely experiencing an increase in the cost of of using the water heater. You may also need to replace the water heater if you’re selling the home, or if you are just moving in (depending on how old it is). This represents not only an added expense but an inconvenience. A tankless water heater has a longer life. In fact, the expected life of a tankless water heater is usually around 20 years. This doubles the life of some tank water heaters. Plus, it’s much easier to remove and install as you won’t need to deal with the large, bulky tank. Water tanks take up a good amount of space. If your utility closet is already cramped it becomes a tight squeeze to use a tank water heater. With a tankless water heater you’ll free up a considerable amount of space. Additionally, because of the compact size you may be able to install the tankless water heaters under individual faucets, such as under a kitchen sink, depending on what your personal needs are. Many tankless water heaters come with long warranties. These warranties are typically longer than that of a traditional water heater. This can give you peace of mind about your purchase and protect your investment in case something goes wrong later on. 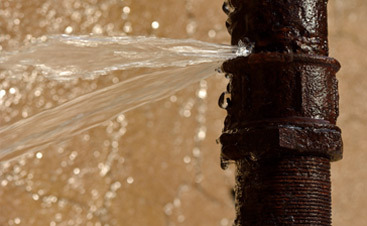 Some warranties are more than twice as long as with traditional water heater. A water heater may not be top of mind when thinking about home improvements but it can certainly be impactful. From having sufficient hot water for all the members of your family (who hasn’t been covered in shampoo when the hot water went out?) to reducing your water bill. If you’re considering a new water heater, now is the time to consider a tankless water heater. These are seven of the top benefits behind using such a water heater. From saving you money over the life of the heater to a longer life, you’ll enjoy the benefits of tankless heaters. Looking for Hot Water Heater Help? Mojica Plumbing & Drain Cleaning is here for you. We can help you decide on a traditional or tankless water heater, find the right model, and get it installed in your home. 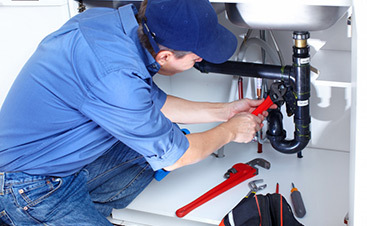 We have more than forty years of experience as plumbers in the Austin area, and during that time we’ve established a reputation for excellence. We’ll help you find a hot water heater that you’ll love for its cost-effectiveness and efficiency. Get in touch with our team to get started! You can give us a call or contact us through our website and we can start with a consultation about your hot water needs. Your satisfaction is guaranteed!